Mr. Moncada is the President and Director of Clinical Research for the four separate branches that structure FXM Research. Francisco Moncada has worked with Dr. Wiltz for over 19 years and has extensive experience in most dermatological conditions and disorders. 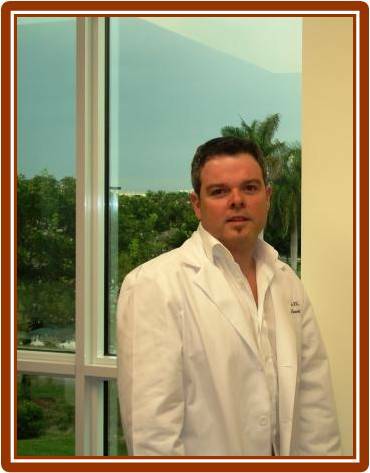 In the year 2000, Mr. Moncada founded his first clinical research site FXM Research Corp. with operations in Miami, FL. Today, the site in Miami has conducted over 120 Clinical trials in dermatology under the Direction/Management of Mr. Moncada. In late 2006, after many years of achieving outstanding results conducting clinical trials, Mr. Moncada widened his prospective to the international arena by founding FXM Research International which today, consists of two solid and experienced research sites in dermatology located in Belize City, Central America. Together, these sites have successfully conducted over 30 studies. To further widen the scope of opportunities FXM Research has to offer to Pharmaceuticals and CRO Sponsors in the United States, the latest branch of FXM Research, FXM Research Miramar, with operations in the city of Miramar, FL; was founded in late 2008. Today, the youngest of the four sites is proud to have conducted over 34 studies in Dermatology. As Director, Mr. Moncada’ job is to handle all Regulatory aspects involved in the trials, oversee the success and achievement of all personnel assisting in the trials, and supervise subject’s conduct during the trial. Mr. Moncada’ management directive is to ensure all of the FXM Research sites convey the same unequivocal quality of standards each has to offer. Mr. Moncada has attended a GCP seminar, sponsored by ACRP, and completed Investigator Training for Medical research, sponsored by WIRB, along with Dr. Wiltz in May 2004. He is certified in HIV/OSHA/BBP-TB, CPR, ACLS, PALS, AND IATA regulations. (Download Francisco Moncada, RN, BSN, CCRC - CV).